I’ve gotten a LOT of questions about how I became such a great copywriter. But really, I love to answer this question because I wasn’t always such an amazing copywriter. I wasn’t always at the point where I could demand high prices, or even speak confidently about my ability to get great results for my clients. I got to that level of skill by learning how to do copywriting and marketing better, so in today’s video, I’ve got three different online courses & three books to recommend to you. Today we’re talking about copywriting and proofreading courses! A lot of people asked me how I learned to be SUCH a good copywriter, and want to know what courses I took to learn what I’ve learned. Some of my writing does come from natural talent, yes, it’s this natural ability I have to break down complicated concepts and make them easy to understand. But A LOT of it also came from good copywriting & proofreading courses. Even when I was working full-time as a self-employed freelance writer, my career as a go-to copywriter didn’t really take off until I started studying from “the greats” like I was the nerdiest teacher’s pet you’ve ever met and practicing their tactics for myself. To be honest, years have gone by since I’ve learned these strategies, so the most impactful courses I took are no longer available…. like some really cool ones from a blog called The Middle Finger project. I’ve researched the courses I took 5+ years ago, and they were either exclusive live versions, and the entrepreneurs who taught them don’t do live courses anymore, or the people who taught them have decided to take their businesses in a different direction. BUT, that doesn’t mean that there aren’t still AMAZING copywriting and editing courses out there that you can take to make yourself a great writer. So, yes. I’m going to be absolutely shameless and start with my own, because it’s really, really good. It’s the culmination of EVERYTHING I learned from all those courses I took, and it teaches you everything you need to know to write an AMAZING website… and specifically focuses on the most important pages of a website. There’s even an entire module devoted to editing, and it’s an editing process that I developed for myself. So Eleanor, the lady who teaches this course, is a fellow copywriter I’ve met in the last couple years in my work online. I can’t remember exactly how we met, but she’s INCREDIBLE at writing email copy, and can teach you how to do it for yourself. 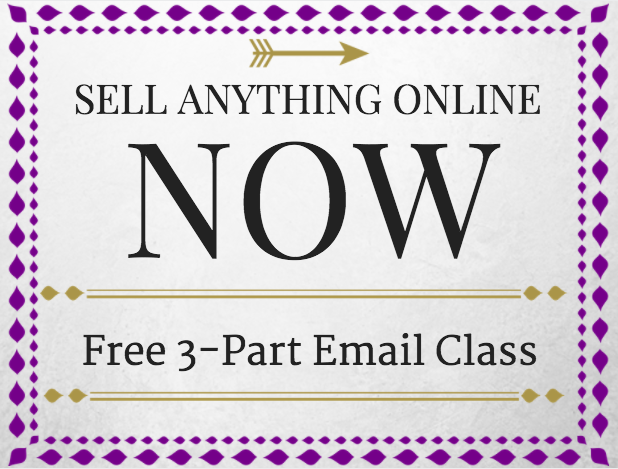 Her course is super comprehensive, I’ve seen it myself, and I can tell you with confidence, that it will have you getting amazing results with your email marketing in no time. So this can really help if you want to be a good editor. Technically, it’s a course that teaches you how to proofread AND how to become a professional proofreader who makes money from proofreading, but the first part is to make you a GREAT proofreader first. I’ve worked with Caitlin, the lady behind this, on a separate project, so I know her work is legit and gets results. Plus, this course is incredible. It’s changed the lives of so many people… you can look up reviews for it and see for yourself. I’d also say that in order to be a great copywriter, you need an understanding of the HUMAN BRAIN to write great copy… and for that I’d suggest two books that aren’t about copywriting but will teach you SO MUCH about copywriting: Predictably Irrational by Dan Ariely & Brainfluence by Roger Dooley. I also liked Cashvertisting by Drew Eric Whitman. These books, I know they sound nerdy, but if copywriting and marketing is your thing, they’ll be SO INTERESTING and you’ll learn so much from them that you can apply to your copywriting and the WAY you edit things to get more results. And let me say – if you’d like my direct feedback on anything you’ve written, I’m happy to do that! I have a monthly membership called Copy Queens that gives you access to SO MUCH, but one of the things is a monthly call with me where I improve copywriting on-screen, and you get to watch me do it. So really, even if you forget all the great trainings that are in there and only take me up on the offer of the monthly copywriting call, the membership fee absolutely pays for itself. It’s an amazing deal AND an amazing community to be a part of. Thank you so much for recommending my course. You rock! No problem, so do you!